Comment: This is like a gingerbread with a chocolate-chili coating, very appropriate for the season. The Oloroso smell and hints of a dry n‘ spicy classic ooze out of my tasting tulip. I am getting sherry, old wood, orange zest, soaked gingerbread, dusty warehouse, green tea and herbs, dark chocolate, Maraschino cherry gelee, dates, apricot, humidor, and: Chili! 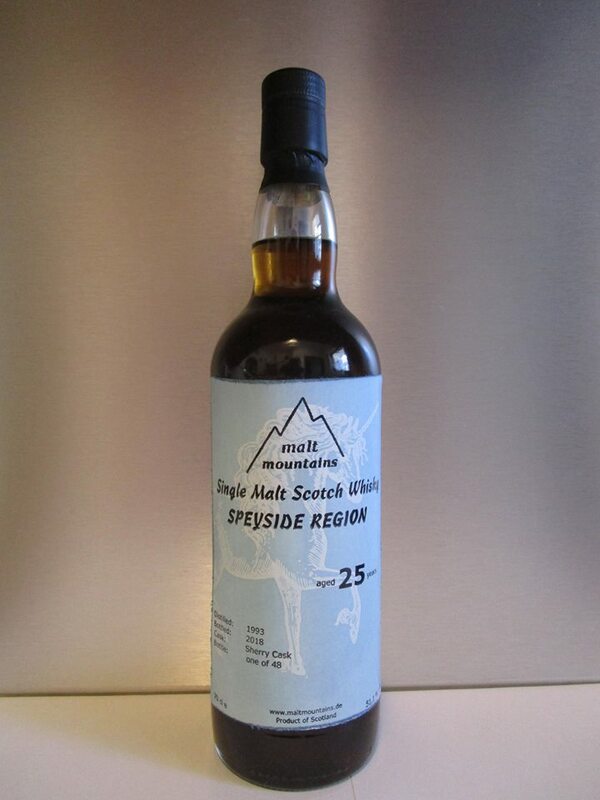 Altogether rather an old style dram … and on the palate? Less dry than expected! Great stuff with an exciting back n‘ forth between sweetness (jammy) and spiciness, yet in very good balance. Cough syrup-complexity 🙂 It finishes lengthy and full of finesse, echoes of cherries, chocolate, dates and sloeberries linger. A real recommendation!